Drone pilot Muhamad AbuShakra knows how to film an adventure. 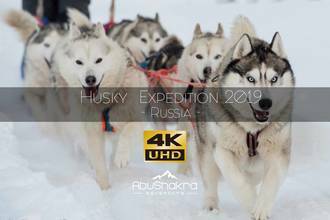 Traveling nearly 100 miles with sled dogs, this journey through the Russian wilderness will leave you feeling inspired. The top-down and tracking shots of huskies give you an idea of just how quickly they could trek over 92 miles of wilderness. But it's not only the huskies that are having fun, Muhamad and his travel mates get to ice fish and laugh along the way.